In homes many of the materials are highly absorbent and don’t look wet. This can cause future issues if not properly addressed, but thankfully here at SERVPRO of Bemidji, Grand Rapids & Hibbing we have specialized equipment to measure the amount of moisture in the materials and in the air. The three main meters we use are an invasive, non-invasive and hygrometer. The invasive meter is the more accurate meter for identifying the level of moisture materials. The draw back to this meter is that it has two pins that must be inserted into that material that you are trying to measure. The non- invasive meter can be used to check moisture of a material that you can’t or don’t want to poke holes in. it uses a pad sensor and electromagnetic signals. Unfortunately, this meters’ reading can be skewed by metal in the materials that you are checking. The hygrometer is a meter that we use to measure the air conditions such as the relative humidity and the temperature. The combination of these reading can tell us the amount of moisture in the air. With these meters we check the affected areas and the unaffected areas. By checking the unaffected areas, we get the goal for drying. So, if you experience a water loss give SERVPRO of Bemidji, Grand Rapids & Hibbing a call. Protecting your home from water damage is always a good idea. Damage can happen inside and outside and that is why it is always a good idea to keep an eye on your home from the inside but also the outside. Here are some tips to help prevent water damage from the outside of your home. Seal off your building: Checking for cracks in your walls, windows, floors, and foundations can go a long way when trying to prevent water damage. If you see some cracks you should seal them with a waterproofing sealant. Snow removal is the name of the game: One thing you want to remember in the winter is to keep the snow away from your foundation, that way when spring comes or just some warm winter days when the snow is melting it isn’t leaking into your basement! Also remember to get that excess snow off your roof to keep it from dripping near your foundation when it starts melting. Hiring a professional service for the task of snow removal from you roof is not always a bad idea, as it can be dangerous. Plus, while they’re up there, they can clear your eaves troughs, too! 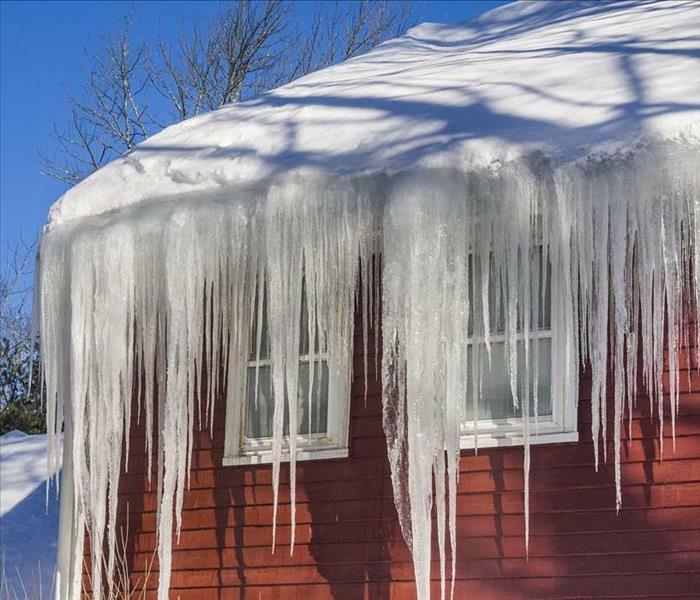 Don’t forget about your roof: Ice dams on the roof can cause damage as well. It’s a good idea to install an ice and water shield membrane under the roof covering at least six feet from the eaves troughs line. Clear catch basins: To facilitate drainage, snow, ice, and debris should be removed from catch basins, as it can build up during the winter. Don’t forget about your downspouts: Clearing out downspouts, just like you did your catch basins, is a good idea. Downspouts should extend at least 6 feet from your foundation. So, for this blog I am going to touch base on Winter Storms. Now most people prepare for summer storms but not many think to prepare for winter storms. 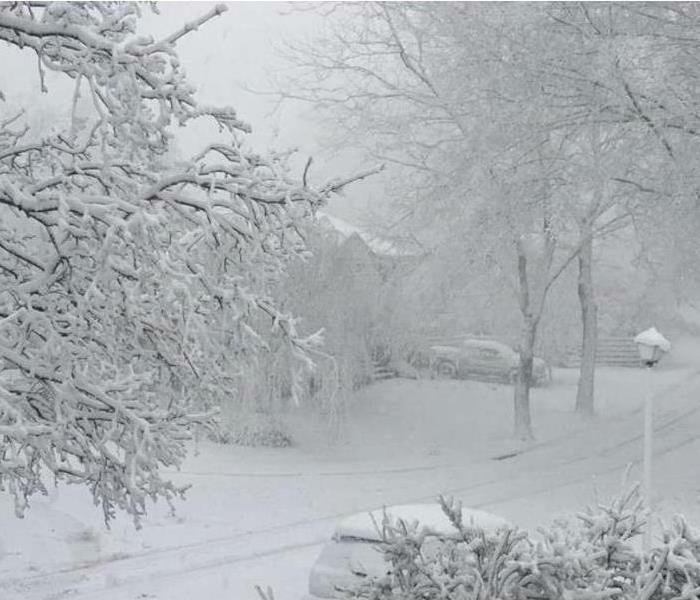 Here are some tips on how to prepare yourself for a winter storm. Have your vehicle winterized before the winter storm season so your prepared you never know what can happen. Always keep a full tank of gas or as close to full as you are able to, gas lines are known for freezing in the winter. Check your heating fuel and make sure you have enough before the storm hits you never know how long you will be stuck in the house while the storm passes. Have an evacuation plan in place in case the power goes out and you and your family need to evacuate your home to somewhere safe. Have a supply of flashlights or candles in case you loose power so you are able to see. Make sure you have a supply of non-perishable food in your home just in case. You just never know how strong a storm will be they can change in the blink of an eye so always be prepared. Often when you see something regarding a commercial job, it is involving a fire or a flood. Not often do you see something different. This year we got a call from a commercial company for us to come in because of suspected use of methamphetamine's in the apartment. They wanted us to come in and test the home as well as complete the clean up. So, we went in and administered a test to determine if there was methamphetamine residue in the home. Unfortunately, it did come back positive. Now when dealing with a job like this we had to make sure that we were properly dressed in the proper PPE so that nothing harmful happened to any of us. All the contents needed to be pulled from the home and thrown away due to the drug residue. Like a Fire job all the receptacles and outlets must be pulled apart and cleaned because the residue can get into even the smallest of openings. Carpeting and the padding underneath also need to come out because there is no way of cleaning it due to the drug residue. The sub floor needs to be sealed where the carpet was like a mold job. Anything that would have come in contact with the methamphetamine needs to be deep cleaned or thrown away. Any surface that is not able to be cleaned must be painted. The cleaning for a job like this is comparable to a Bio, Mold, and Fire job combined. So, when you think about a commercial job it is not always just fire and water. There is no job to big for us to handle! When it comes to commercial and residential restoration services, SERVPRO is a leader in the industry. Available 24 hours a day and seven days a week, SERVPRO of Bemidji, Grand Rapids & Hibbing responds quickly to your business’s fire, water, and mold damage emergencies. No commercial project is too big, because we have access to the resources of a nationwide network of 1,700 Franchises. Learn more about our commercial restoration services. Frank from Hibbing asks: When there is a fire in a house how do you determine what can be saved and what cannot? When something tragic like a fire happens in your home you do not often thing about your "stuff" until after the smoke settles. When we come into someones home after a fire we inventory everything in the hose, and I mean everything. From the couch, to the bags of tea in the cupboard. We photograph every piece and get a description to send to the insurance company. From this inventory process we can determine what can be saved and restored and what has been damaged beyond repair. Some items are easy to discard and replace, such as paper products and certain unsealed food items. However trying to determine what can and cannot be saved can be a difficult decision. Maybe it is slightly damaged or maybe it is something that holds sentimental value. The chair that was made by your great grandfather and cannot be replaced at your local furniture store. When this happens we work with the home owner and the insurance company to decide how to move forward. Maybe you would like the heirloom to be cleaned even if that means it will not be back to its original glory, but that is a decision that the home owner needs to make for him or herself. A fire is never easy but we try to make the process as easy as possible on you, the homeowner. 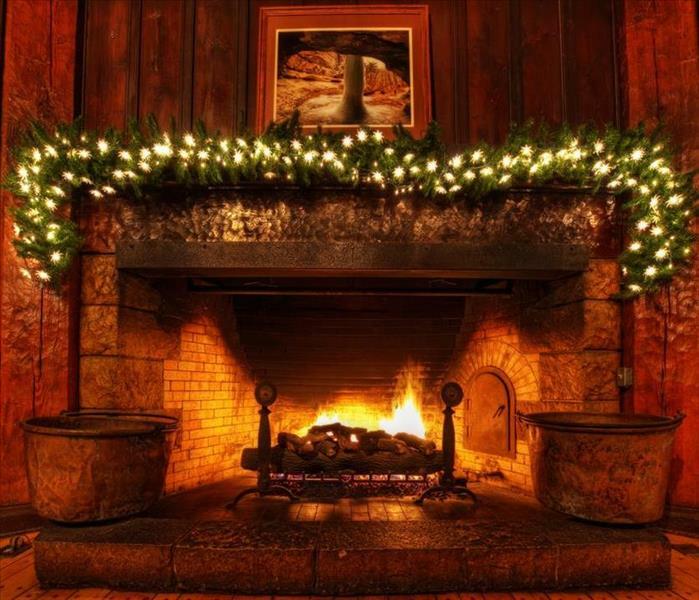 With there being nearly 47,000 fires that occur during the winter holiday time, here are a few tips to help you prevent a fire this time of year. Remember to have your Christmas tree, candles and any other decorations at a minimum of 3 feet away from any heat source (Examples are fire places, portable heaters, radiators, heat vents, and candles). Make sure the tree you currently have or are looking to purchase is flame retardant metallic or artificial. If you are one who prefers a real tree make sure it has fresh green needles that aren't easily broken. Keep your real tree as moist as possible by making sure you water them often. Verify that your lights and decorations are in good condition. Pay close attention to make sure there are no wires showing on the light strings. Make sure to always follow the Manufacture's instructions that come with your lights and possibly your decorations. Remember to unplug your tree and lights before you leave the house or go to bed. Always make sure that you have no lit candles when you leave your house or go to bed, and never use lit candles to decorate your Christmas tree. Make sure that your tree stand is designed to prevent your tree from tipping over. Keep your curious pets and children away form the tree. Designate someone to walk around the home to make sure that all the candles or smoking materials are completely extinguished after the guests leave. Make sure that anything flammable (Example pot holders, oven mitts, wooden utensils, paper or plastic bags, food packaging, towels, or curtains)are always kept away from the stove top. Smoke Alarms save lives! Make sure you have one installed near your kitchen. You should also have some alarms on every level near sleeping areas, as well as inside and outside bedrooms if you are someone who likes to sleep with your door closed. You should test your smoke alarms at least once a month and write on your calendar to remind yourself to change the batteries in the smoke alarm once a year. If the unfortunate happens call SERVPRO of Bemidji, Grand Rapids, and Hibbing at 218-999-9799. You can submit your own questions on our Facebook page, facebook.com/SERVPRO.BEMIDJI.GRANDRAPIDS.HIBBING, or on Twitter, @SERVPROBGRH. One stressful situation that any business can find themselves in after a loss is the damage documents and contents, but rest assured that here at SERVPRO of Bemidji, Grand Rapids, & Hibbing we are here to help. 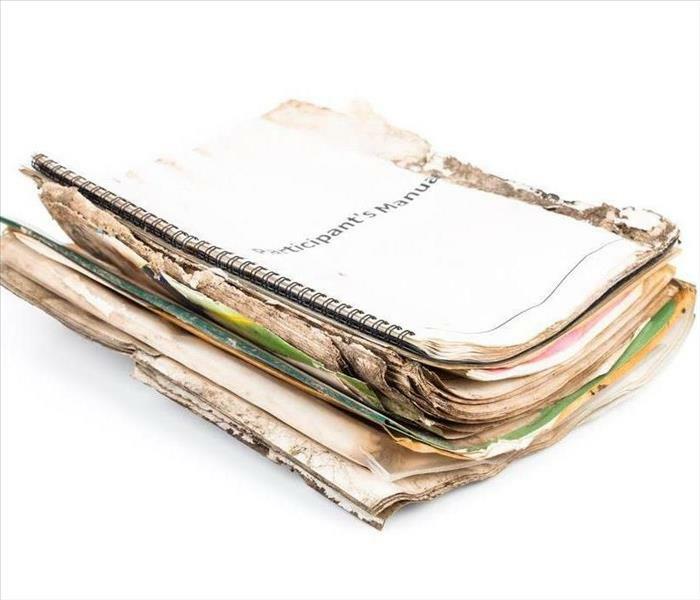 With our highly trained staff will work diligently to salvage as much of your documents and contents as possible. We have many techniques to ensure this happens Three techniques we could use are freeze drying, ultra-sonic cleaning, and data recovery. When important documents get wet in a loss we have a crucial process to save them called freeze drying. Freeze drying is a process that involves using specialized freezing chambers to dry the documents. It is important that the documents remain wet until we can get them in to the chamber. So, the sooner we get to them the more likely we are to save them. To be continued with Ultra-sonic cleaning and data recovery in the next post! Another awesome technique that we can use is ultra-sonic cleaning. This technique is typically performed after a fire loss but can be utilized in other situations. 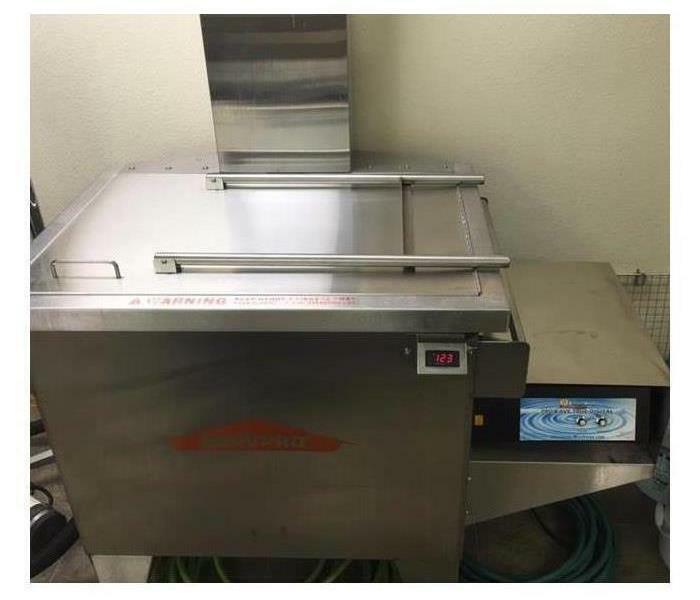 Ultra-sonic cleaning is performed using three different specialized tanks to pre-wash your contents, agitate using ultra-sonic vibrations, and rinse contents using ionized water. This process gets in to those hard to reach nooks and crannies leaving your contents Debris free. With the rise of technology, a lot of your information might be stored on your computer systems. If these systems are compromised all is not lost, here at SERVPRO of Bemidji, Grand Rapids & Hibbing we have partnered with a local company who specializes in the repair and recover of your important data. The utilization of freeze drying to save your paper documents, the ultra-sonic process to clean your contents, and the Data recovery for your electronic information. You can rest assured that in the chaos of whatever tragedy might rear its ugly head SERVPRO of Bemidji, Grand Rapids & Hibbing is always here to help. 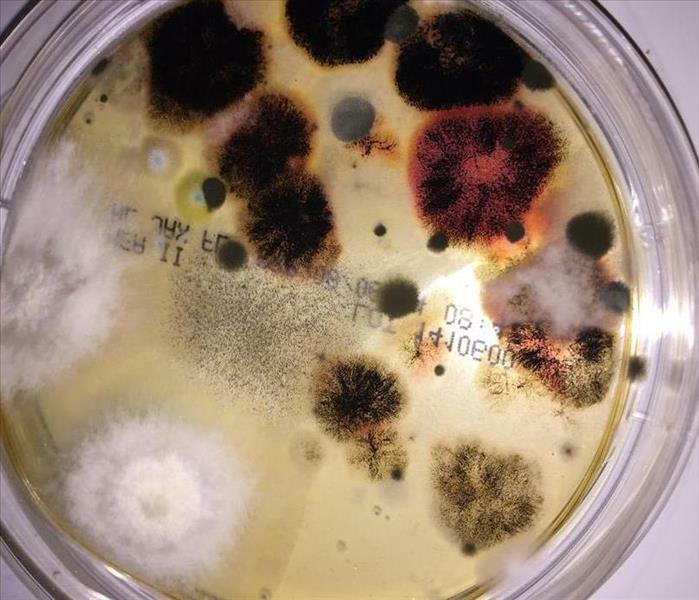 Do you have mold in your house and you want to know what one of the thousands of different types of mold you may have? SERVPRO of Bemidji, Grand Rapids & Hibbing has a solution for you! This can be done by preforming a settling test. The settling test is the most common and most accurate test when it comes to mold. The settling test is performed by placing settle plates on all affected levels and outside for a base line. The plates are placed for one to two hours than sealed labeled and sent off to an independent lab. The lab than incubates the dishes for 5-7 days. This allow the lab to identify the microorganisms using a microscope. If the curiosity has the best of you contact SERVPRO of Bemidji, Grand Rapids & Hibbing and get your settling test done today (218) 999-9799. 2/27/2019 - What are Moisture Meters? 1/3/2019 - What is an Ice Dam?